Hi! I'm sharing my tutorial for how to transfer photos onto a wood slice on the Scrapbook Adhesives by 3L blog today. I'm always looking for creative ways to display photos in my home. These wood slice photo plaques are such a fun way to add a rustic accent, with a bit of a modern twist, to any decor. I used 4x6" Adhesive Sheets, a Home and Hobby Dual Tip Glue Pen, and a Walnut Hollow Basswood Country Round Coaster for this project, which only takes a couple of hours to complete. 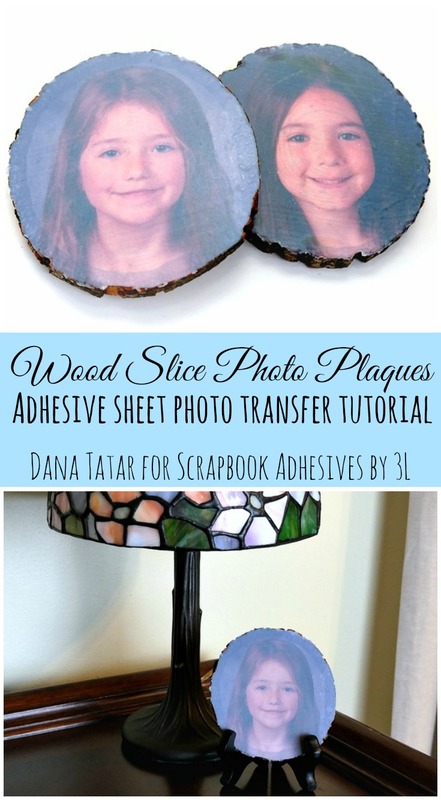 I'm displaying my photo plaques on small stands, but attaching mounting hardware to the back of the wood slice to create a wall hanging or adding a magnet and sticking it on the fridge are also great ways to display these fun pieces. The adhesives I used for this project are non-toxic, acid free, and wash from hands and clothes with warm water, which makes this a safe project for school-aged children with adult supervision. 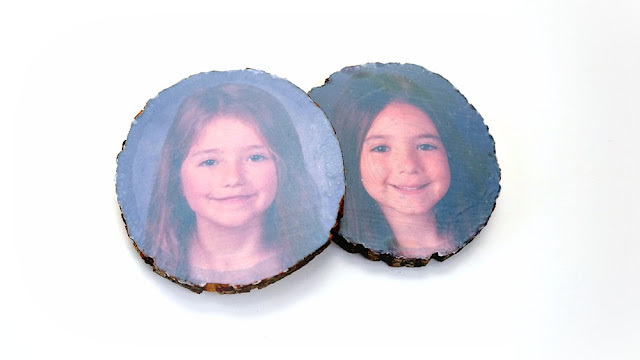 Photo plaques make a great gift for family, friends, or a special teacher or coach. The upcoming Spring and Summer holidays and end of the school year gift-giving will arrive much faster that I am ready for, but I'm a little bit ahead of the curve with this fun set. I'd love to have you stop by the Scrapbook Adhesives by 3L blog to watch my video. I also include full text instructions, a detailed supply and tool list, and some helpful design tips to help make your take on this project a success. Wow wow wowwwwwwwwwwwwwwwwwww!! You are absolutely AMAZING!!!! Off to see more!!!!!!!!!!!! !